You have to be careful when underplanting a topiary tree-you want to compliment the flowers above without detracting from the simplicity created by the standard form. You also don't want to hide the trunk. 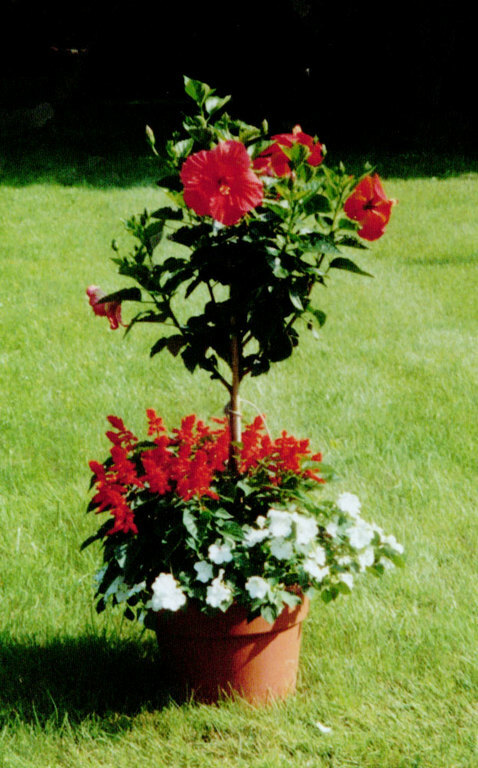 There should be at least two colors of hibiscus trees to choose from. They are grown in the warmth of Florida, so we never know what colors they will send.